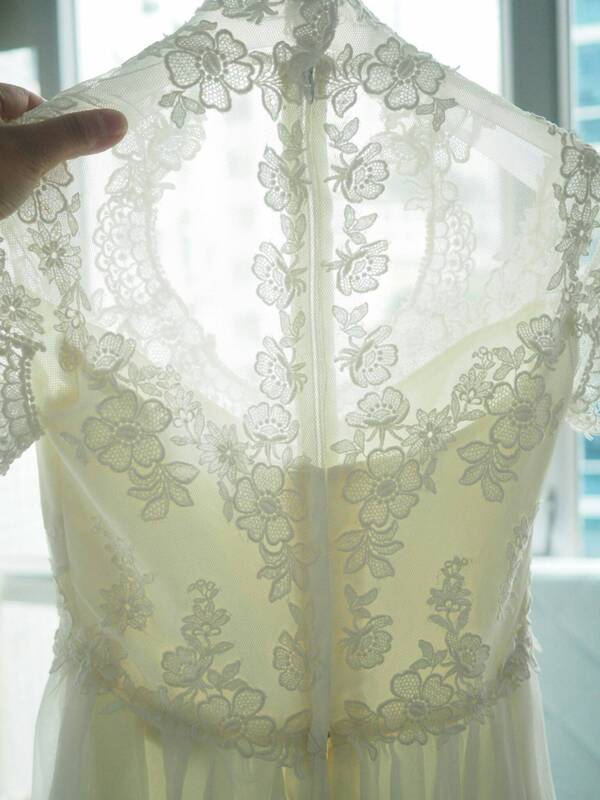 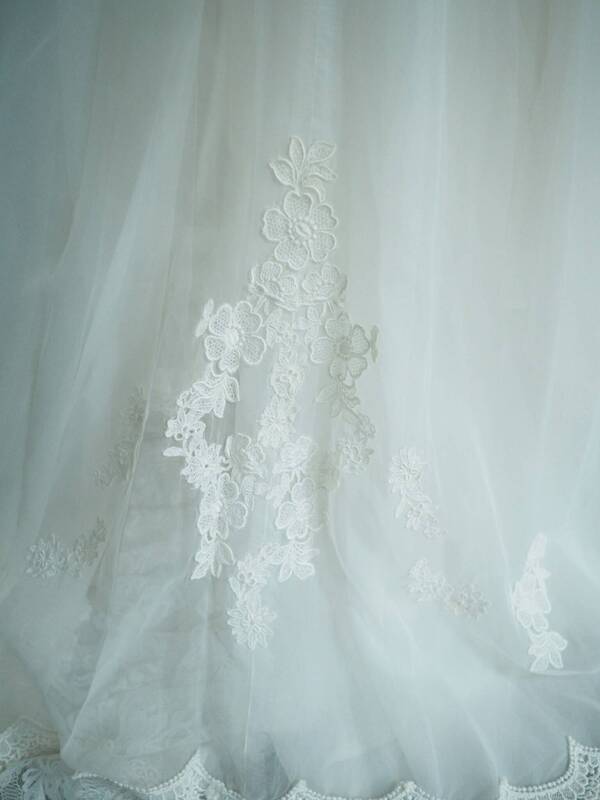 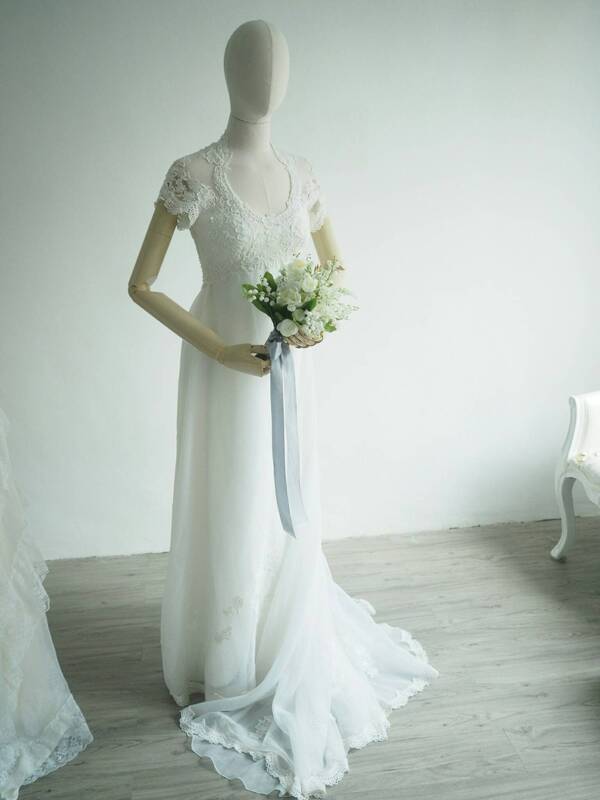 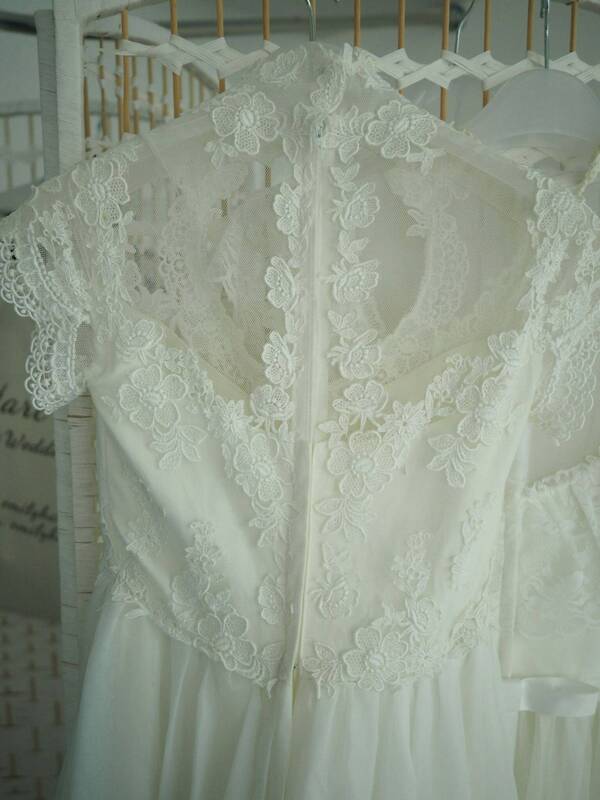 This wedding dress is a vintage from 1970s. 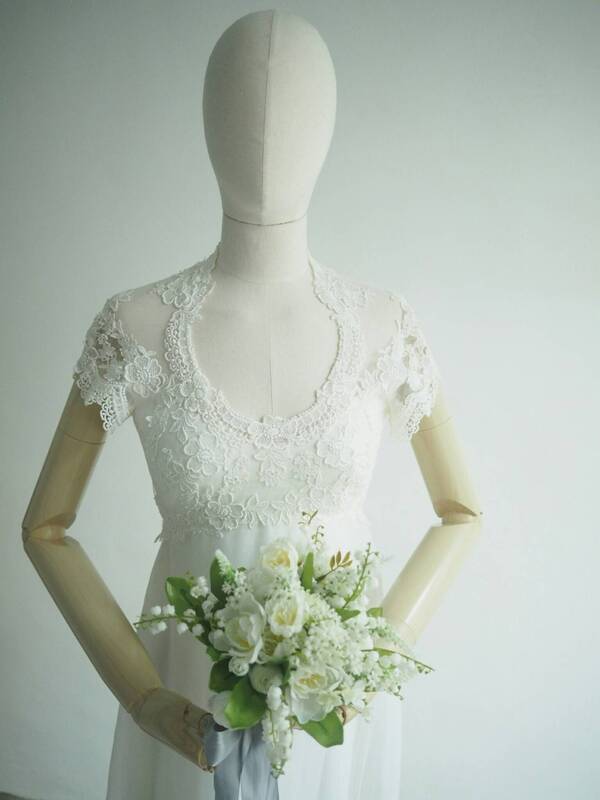 The dress is a light design by Tinny by Priscilla with queen anne neckline, and short capsleeves. 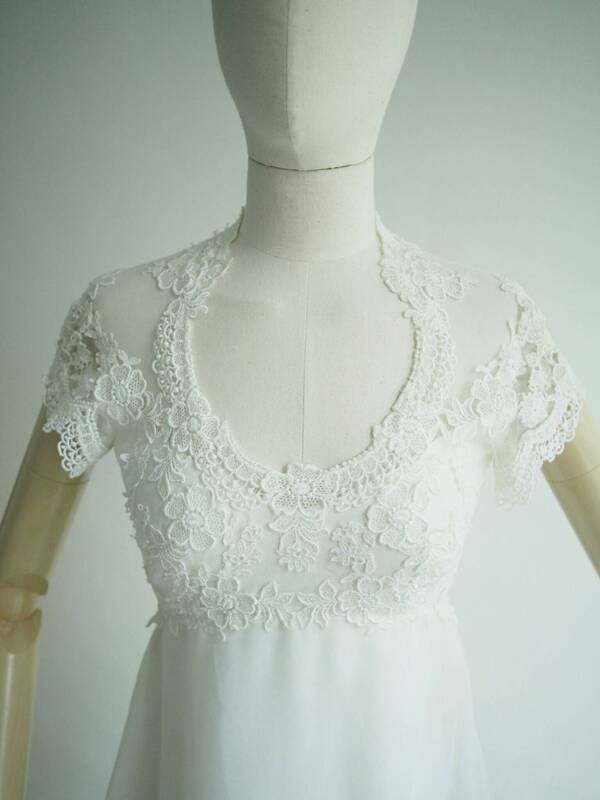 Lace covered on bodice and train.